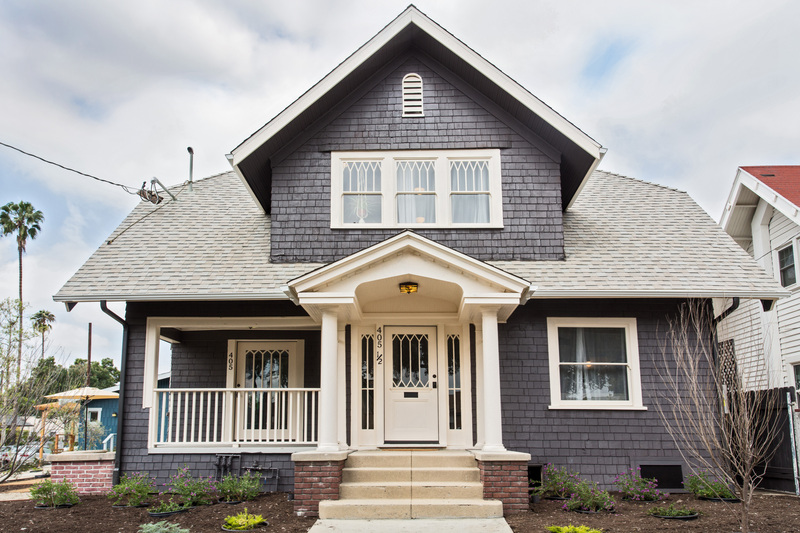 An original shingle style transitional house had fallen on hard times and was boarded up and abandoned for over ten years. 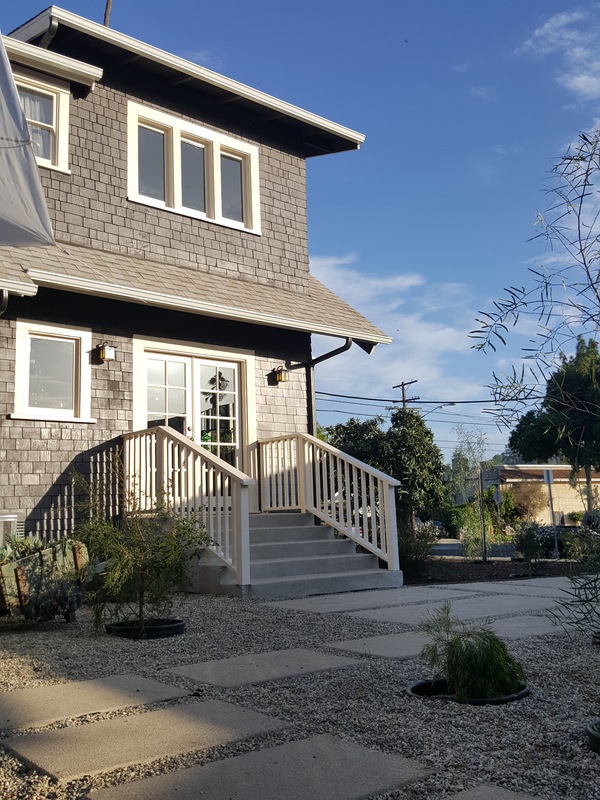 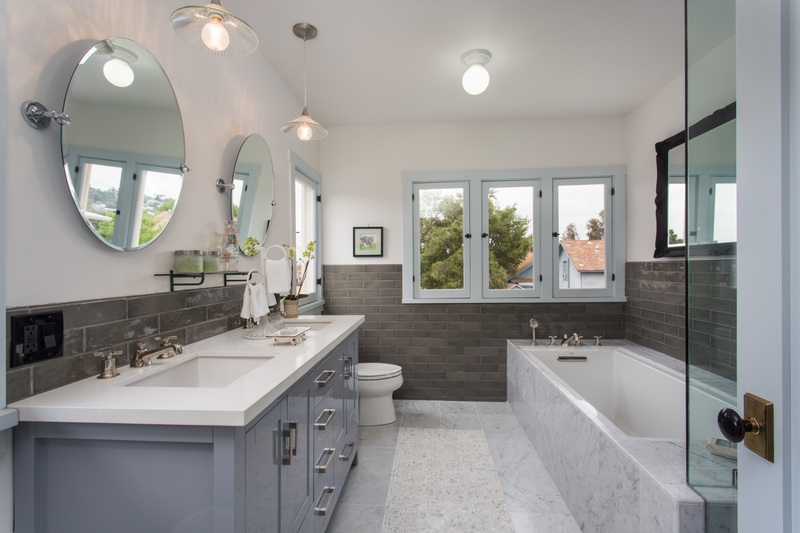 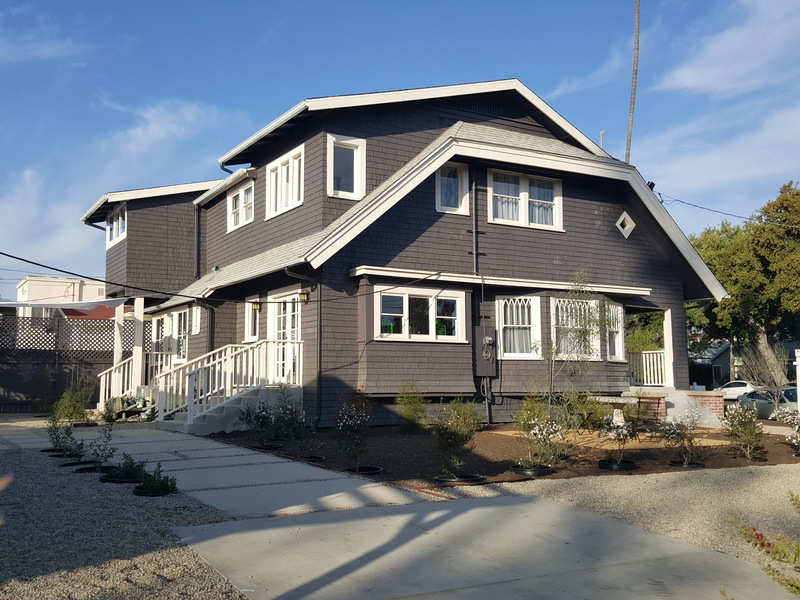 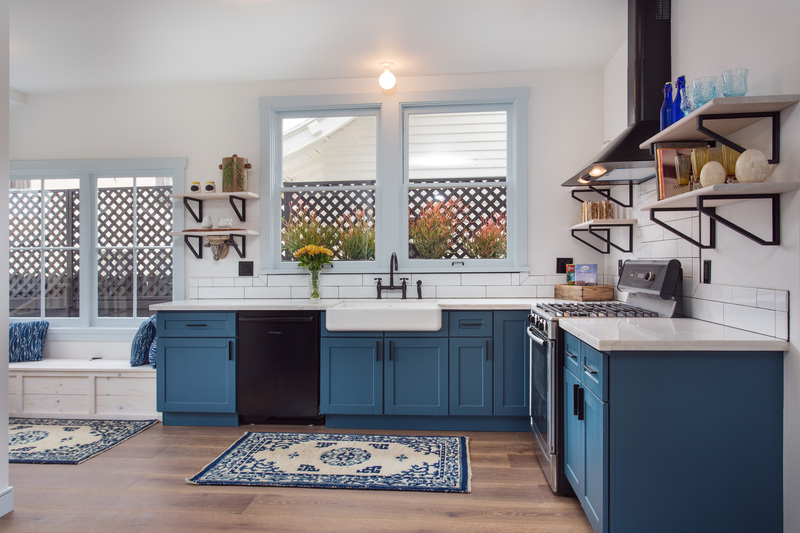 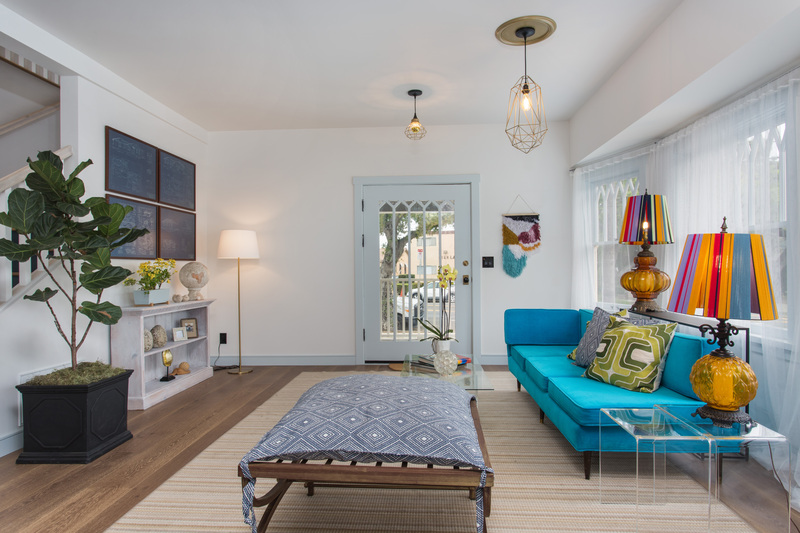 A new developer had a terrific vision for restoring the exterior of the historic home and updating the interior but needed Historic Preservation expertise to bring the home back to life and navigate the preservation requirements for the Historic Preservation Overlay Zone (HPOZ). 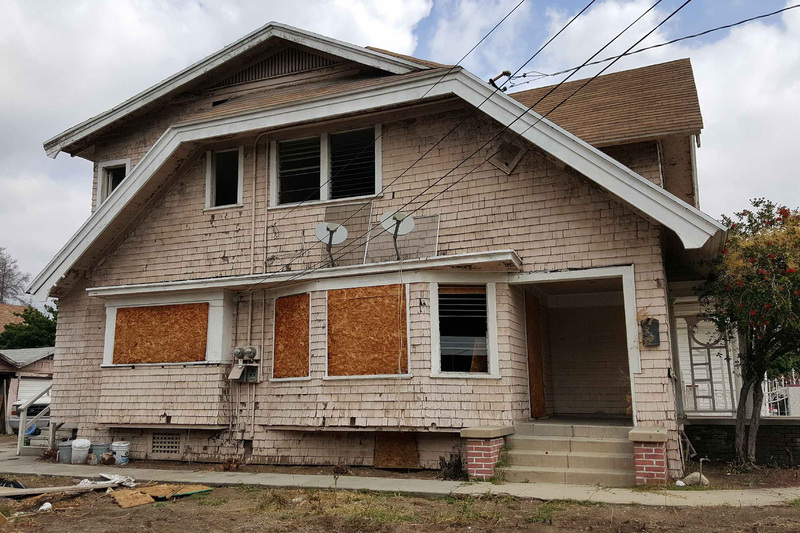 We were able to step in and work quickly and effectively with the HPOZ Board to create a preservation plan for the historic dwelling, allowing restoration to commence in a matter of weeks. 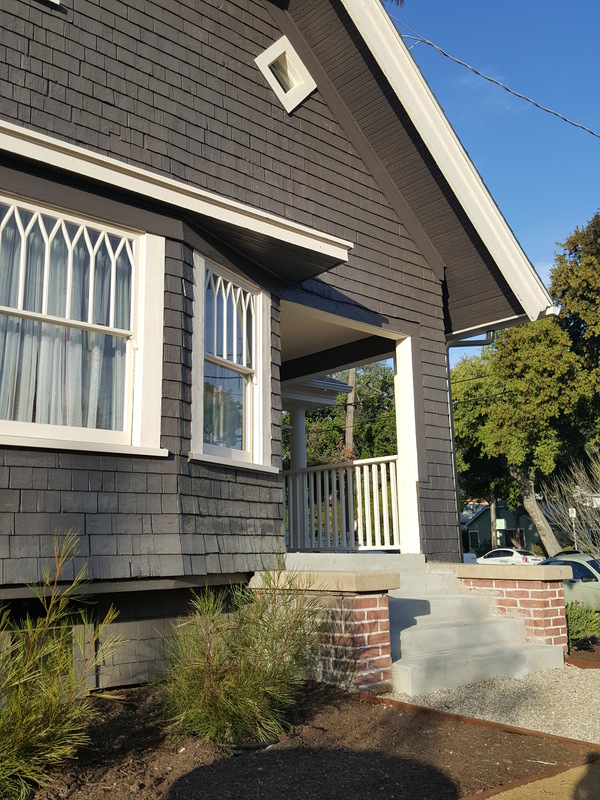 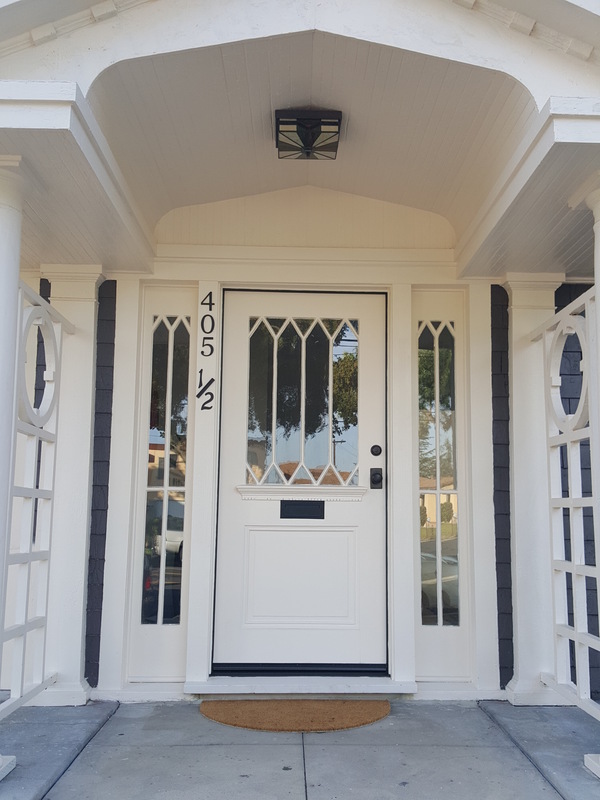 Insensitive jalousie windows and aluminum sliders were replaced with elegant true divided light wood windows, layers of non-original additions were removed, opening up opportunities for new window openings, existing original wood windows and shingles were repaired and restored in place.